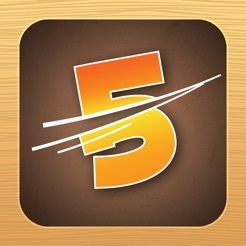 Winner Corona App of the Week! 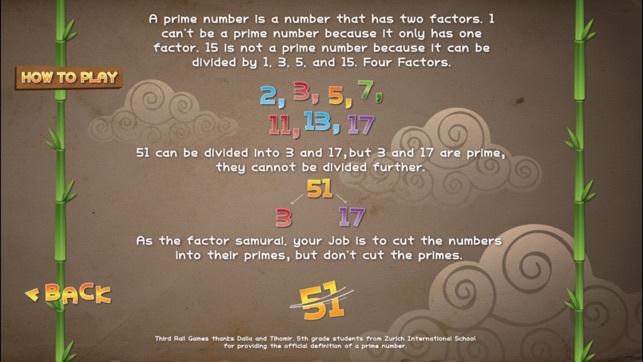 Factor samurai is a great way to learn times tables. 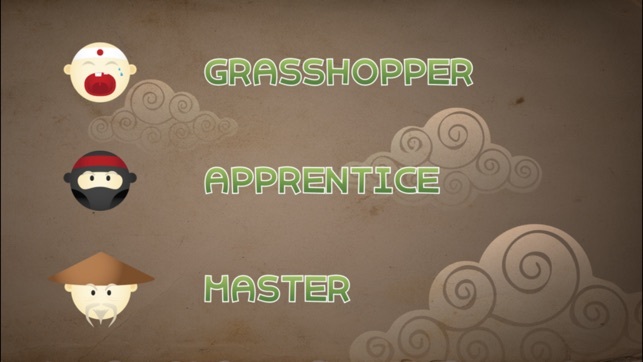 You play as the samurai whose sacred duty is to cut all the numbers down to their prime factors. You will be thrown one number after the next, cut them up if they can be factored into smaller values, if not, if they are prime, do not cut them. Prime numbers are numbers that cannot be divided into small whole numbers. Two, three, five, seven, eleven, and thirteen are all examples of prime numbers. Four is not prime because it can be broken down in the whole numbers two times two. 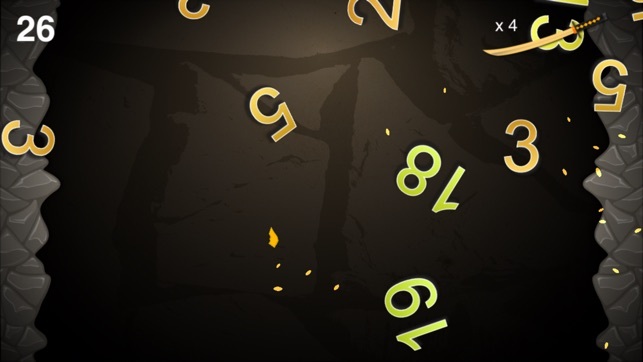 Factor Samurai will reinforce the arithmetic principles of multiplication and division by continually challenging the player to remember which numbers can be factored into smaller values, and which ones can't. 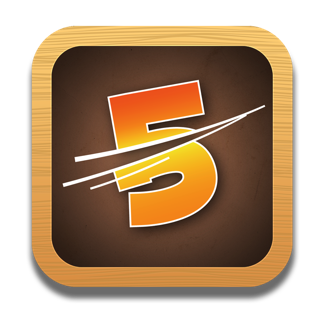 As the player slices numbers into factors, those factors can be broken down further, until they are split into their prime factors. Knowing that 63 is 3 times 3 times 7 or that 128 is 2 raised to the seventh power (7 twos!) is how you become a true Factor Samurai! 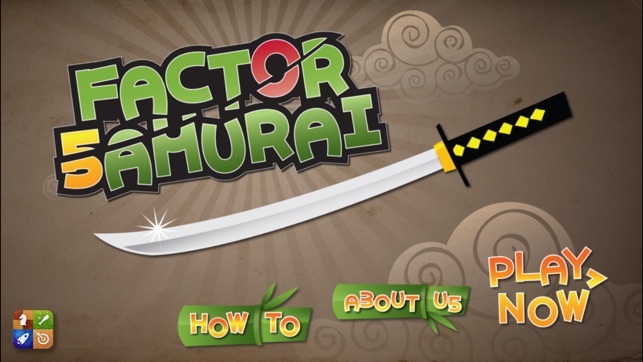 Factor Samurai is used extensively in the classroom. More than half of the recorded downloads are to public schools.